Wow, my first post! 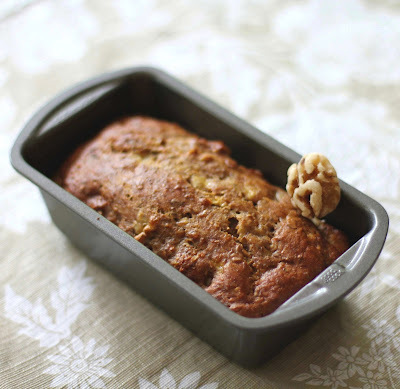 And, to start off this blog, my first post should be dedicated to a food that is yummy, tasty and healthy--a food that I, and (basically) everyone else loves: Banana Bread! This dessert takes me back to my childhood, where I was born and raised in Calgary, Alberta. When I think about my childhood, the first thing that pops into my head is really just banana bread. I ate it every morning before school with my mother and sister, at a coffee shop called, Grabbajabba (clever name right?). It was the Starbucks of Canada, and my favorite place to be--more than school of course (because even with 2 feet of snow, there were no such things as "snow days"), it was my comfort-zone with comfort-food, unlike playing hide-and-go-seek with friends in a dusty attic snacking on melted gummy bears from my pocket. Oh, Grabbajabba... the velvet chairs so plump, the coffee-scent so fragrant, and the banana bread so tasty. I wouldn't settle for anything other than that banana bread, that perfectly-sliced, warm, aromatic dessert (for breakfast). Cinnamon rolls oozing icing? Nope. Pop tarts right out of the toaster? Not a chance. If the bread was sold out, I was distraught and skipped that meal for the day. Thinking about it now, skipping that banana bread was most likely a good thing. Even though I was young then and my body could surely handle it, there are quite a few ingredients in prepared foods that, if consumed over a long period of time, can alter natural balances in your body, essentially leading to preventable hospital visits as you grow older. Along with my increased emphasis on health (and possibly the Intro to Human Nutrition course I took), I have this drive to bake foods that could pass my textbook's "Health Checklist." This banana bread passed, because the recipe has been formulated by a serious health-guru, aka, me lol. So... on to the banana bread! My 1st edition was a collage of things: partially burnt, crusty, dry and bland. I only used 2 bananas so it didn't taste like banana bread, but rather like a poorly flavored bread. My parents love banana bread too (I mean, who doesn't?) so I wanted to make this for them once I perfected it. They are big on protein, so I put in vanilla protein powder, which may have been the cause for it's crusty shell, but, I wasn't experienced enough with baking to know what caused certain textures and different elements. Then, there was my 3rd and 4th edition. During my last bite of the 4th edition banana bread, I was asking myself, what is making this bread so dry?!? Am I overmixing (I tend to do this), should I put more oil in, should I add more bananas? Yes, that was what I was going to do! So, my 5th edition was born. It smelled, ah-mazing. My first bite, *chomp* sadly, was still dry but it had great flavor. It was the perfect amount of banana and the tops of the loaves rose perfectly. But, when I reviewed the ingredients one more time, I realized what the problem could have been all along: the protein powder. I was not using the proper protein powder for baking, but rather the powder that you see muscle-heads put into their protein smoothie shaker cups at the gym. So I removed it. The 6th edition (without protein powder) was amazing. I found that using the wrong type of protein powder makes your baked good, dry and airy (and not the nice kind of "airy," the airy as in, too many air pockets!). Because of this, I had overcompensated on the number of bananas put into the recipe (aka, almost 7 bananas). The bread was too dense, too banana-y, and went bad in less than 2 days! It tasted like straight-up banana, where a piece of bread somehow got stuck onto your next bite (which doesn't sound too bad, but in this case, it was). 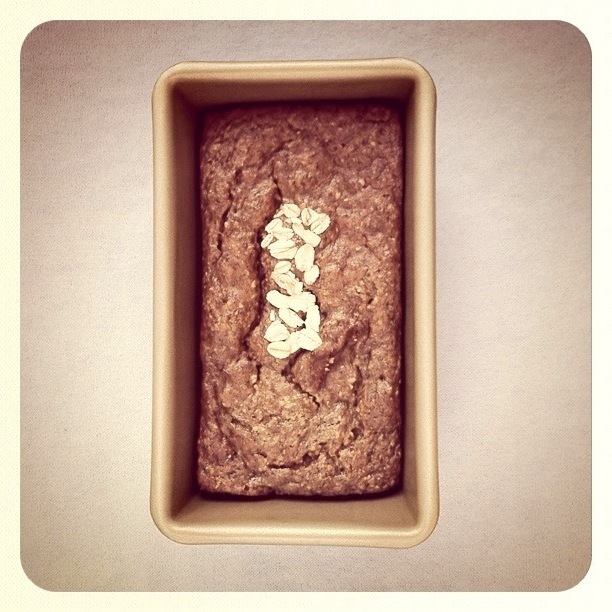 I revised the darned recipe one more time, until, I made it to the lucky Banana Bread no.7! 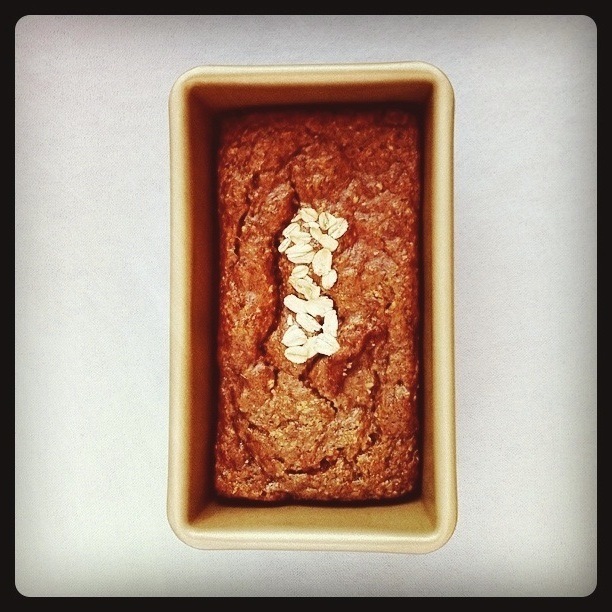 Sorry, no recipe for Banana Bread no.7--it's locked away for safe-keeping, aka, my dream. It is my pride and joy, and will keep my motivated to reach my goal. 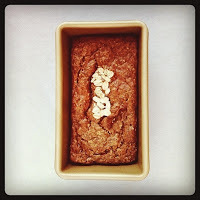 Scroll down below for my other banana bread recipe though! For those of you who are big on protein, here is a recipe I made after Banana Bread no.7 with the proper protein powder! I guess you could call this my 8th edition, but, the 7th was pretty much perfect already ;D hehe. For the 8th edition, I wasn't baking in my dorm for once, I was in Canada spending Christmas Vacation at the Mont Tremblant resort! I sat in the clean, wide open kitchen, thinking of what I could dump into the mixing bowl without the end product turning into a complete disaster. I had some almond meal, some flax, some oats and some honey on hand. That would do right? Yup! They did do. Anyways, thanks for tuning in. Try out the recipe (if you are at high elevation) or revise it to your liking. Congratz on your first post ..... the banana bread looks absolutely delectable. Coincidentally I have also posted a recipe of Banana Bread yesterday. 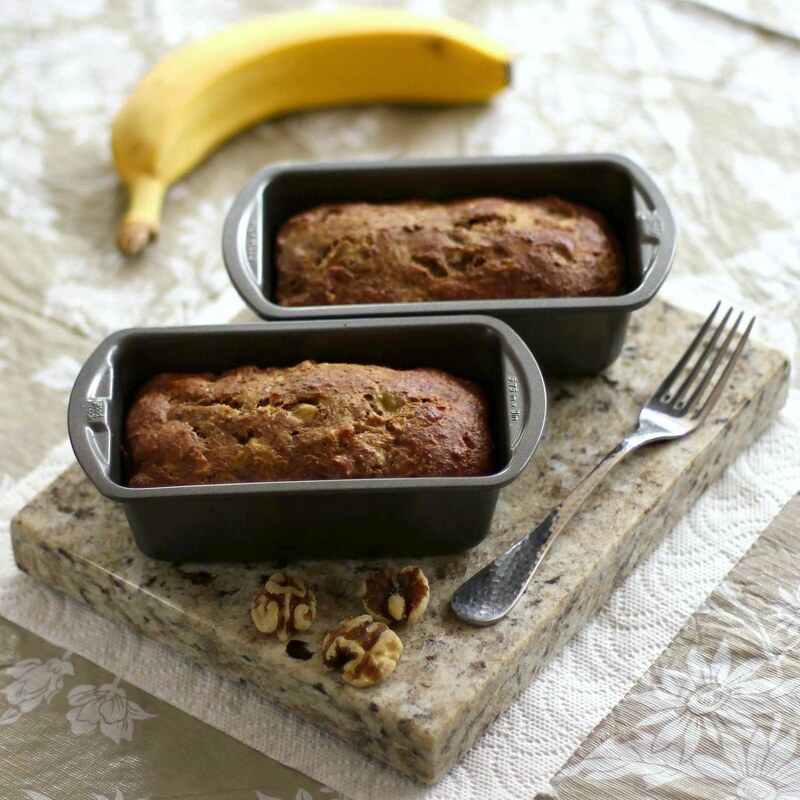 Thanks for posting a healthy version of Banana Bread! I love the stuff but like you mentioned it always has so much sugar and butter or oil. I wonder if the recipe you posted would still work out without the protein powder? I'm pretty sure the recipe may still work without it... maybe you could add 1-2 tablespoons of almond flour or change the 1/2 cup of soymilk to 1/3 cup. Hey! Love your idea of a recipe "wishlist." To answer your question, my first (and only post as of now) is of a healthy chocolate "chick" blondie. Please check it out. I didn't have some ingredients like soymilk, but I was definitely inspired by your healthy banana bread. So, I threw in applesauce, canola oil, whole milk yogurt, 1 egg, brown sugar, buckwheat flour, oat flour, almond flour, and baking soda. Not QUITE as healthy as yours, but a giant step forward for me, who just made a butter PACKED flourless chocolate cake yesterday. 10 minutes left on the oven timer; we'll see what happens! Why so hot? Isn't 400F a bit too hot if you are trying to make a more moist bread? I did bake something very similar to these, but with a different temp. I was just wondering because it reminds me a comment on some cupcakes i made the other day from cafe fernando. comment 13. i haven't gotten around to trying the muffins again because i only kept it a constant temp. my first time making them. and isn't it great to be in college to bake whatever you want - i go to RPI. Wow, I didn't know that about the oven temp! Maybe at regular altitude the cake should bake at 400 then drop to 375 or 350 according to Cafe Fernando. This is my favorite cake! Thanks for sharing your recipe.